Without a clean and crawlable website structure, you’re dead in the water SEO-wise. For example, if you don’t have a solid SEO foundation, you can end up providing serious obstacles for both users and search engines. And that’s never a good idea. And even if you have clean and crawlable structure, problems with various SEO directives can throw a wrench into the situation. 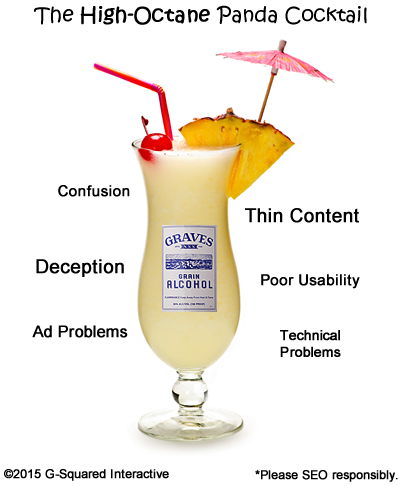 And those problems can lie beneath the surface just waiting to kill your SEO efforts. That’s one of the reasons I’ve always believed that a thorough technical audit is the most powerful deliverables in all of SEO. “What lies beneath” can be scary. Really scary… The reality for SEO is that what looks fine on the surface may have serious flaws. And finding those hidden problems and rectifying them as quickly as possible can help turn a site around SEO-wise. When performing an SEO audit, it’s incredibly important to manually dig through a site to see what’s going on. That’s a given. But it’s also important to crawl the site to pick up potential land mines. In my opinion, the combination of both a manual audit and extensive crawl analysis can help you uncover problems that may be inhibiting the performance of the site SEO-wise. And both might help you surface dangerous optical illusions, which is the core topic of my post today. 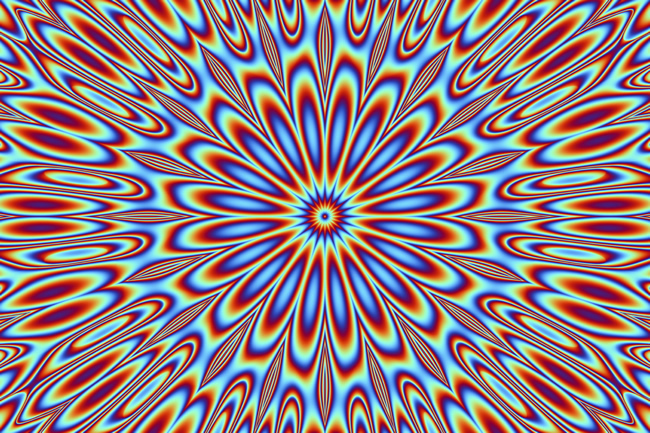 Optical illusions can be fun to check out, but they aren’t so fun when they can negatively impact your business. When your eyes play tricks on you, and your website takes a Google hit due to that illusion, it’s not so fun. The word “technical” in technical SEO is important to highlight. If your code is even one character off, it could have a big impact on your site SEO-wise. For example, if you implement the meta robots tag on a site with 500,000 pages, then the wrong directives could wreak havoc on your site. Or maybe you are providing urls in multiple languages using hreflang, and those additional urls are adding 30,000 urls to your site. You would definitely want to make sure those hreflang tags are set up correctly. That’s the focus of this post today, and it can happen easier than you think. I’ll walk through several examples of SEO optical illusions, and then explain how to avoid or pick up those illusions. Did you catch the problem? The code uses “alternative” versus “alternate”. And that was on a site with 2.3M pages indexed, many of which had hreflang implemented pointing to various language pages. All looks ok, right? At first glance you might miss it, but the code uses “content” versus “href”. If rolled out to a website, it means rel canonical won’t be set up correctly for any pages using the flawed directive. And on sites where rel canonical is extremely important, like sites with urls resolving multiple ways, this can be a huge problem. OK, so you are probably getting better at this already. The correct value should be “noindex” and not “no index”. So if you thought you were keeping those 75,000 pages out of Google’s index, you were wrong. Not a good thing to happen while Pandas and Phantoms roam the web. How To Avoid Falling Victim To Optical Illusions? As mentioned earlier, using an approach that leverages manual audits, site-wide crawls, and then surgical crawls (when needed) can help you nip problems in the bud. And leveraging reporting in Google Search Console (formerly Google Webmaster Tools) is obviously a smart way to proceed as well. Below, I’ll cover several things you can do to identify SEO optical illusions while auditing a site. From a manual audit standpoint, using plugins like Mozbar, SEO Site Tools, and others, can help you quickly identify key elements on the page. For example, you can easily check rel canonical and the meta robots tag via both plugins. From a crawl perspective, you can use DeepCrawl for larger crawls and Screaming Frog for small to medium size crawls. I often use both DeepCrawl and Screaming Frog on the same site (using “The Frog” for surgical crawls once I identify issues through manual audits or the site-wide crawl). Each tool provides data about key technical SEO components like rel canonical, meta robots, rel next/prev, and hreflang. Note, DeepCrawl has built-in support for checking hreflang, while Screaming Frog requires a custom search. Once the crawl is completed, you can double-check the technical implementation of each directive by comparing what you are seeing during the manual audit to the crawl data you have collected. It’s a great way to ensure each element is ok and won’t cause serious problems SEO-wise. And that’s especially the case on larger-scale websites that may have thousands, hundreds of thousands, or millions of pages on the site. I mentioned earlier that Google Search Console reports can help identify and avoid optical illusions. Below, I’ll touch on several reports that are important from a technical SEO standpoint. 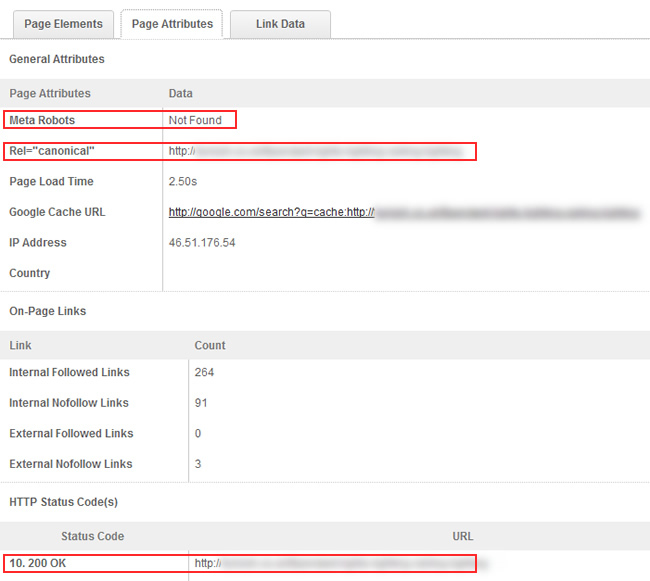 Using index status, you can identify how many pages Google has indexed for the site at hand. And by the way, this can directory-level (which is a smart way to go). Index Status reporting will not identify specific directives or technical problems, but can help you understand if Google is over or under-indexing your site content. 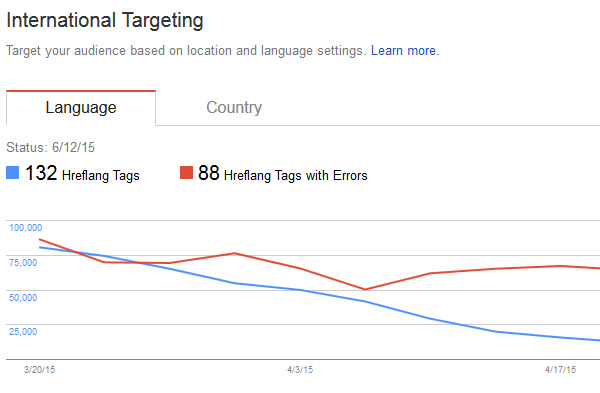 Using the international targeting reporting, you can troubleshoot hreflang implementations. The reporting will identify hreflang errors on specific pages of your site. Hreflang is a confusing topic for many webmasters and the reporting in GSC can get you moving in the right direction troubleshooting-wise. 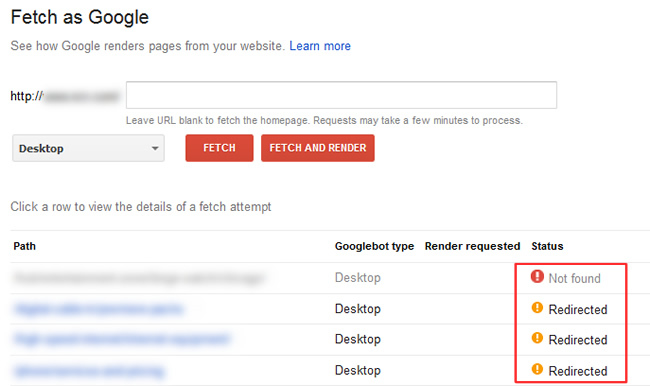 Using Fetch as Google, you can see exactly what Googlebot is crawling and the response code it is receiving. This includes viewing the meta robots tag, rel canonical tags, rel next/prev, and hreflang tags. You can also use fetch and render to see how Googlebot is rendering the page (and compare that to what users are seeing). Using the new robots.txt Tester in Google Search Console enables you to test the current set of robots.txt directives against your actual urls (to see what’s blocked and what’s allowed). You can also use the Tester as a sandbox to change directives and test urls. It’s a great way to identify current problems with your robots.txt file and see if future changes will cause issues. If there’s one thing you take away from this post, it’s that technical SEO problems can be easy to miss. Your eyes can absolutely play tricks on you when directives are even just a few characters off in your code. And those flawed directives can cause serious problems SEO-wise if not caught and refined. The good news is that you can start checking your own site today. Using the techniques and reports I listed above, you can dig through your own site to ensure all is coded properly. So keep your eyes peeled, and catch those illusions before they cause any damage. Good luck. My Google Richter Scale was insanely active the week of April 27, 2015. That’s when Google rolled out a change to its core ranking algorithm to better assess quality signals. I called the update Phantom 2, based on the mysterious nature of the update (and since Google would not confirm it at the time). It reminded me a lot of the original Phantom update, which rolled out on May 8, 2013. 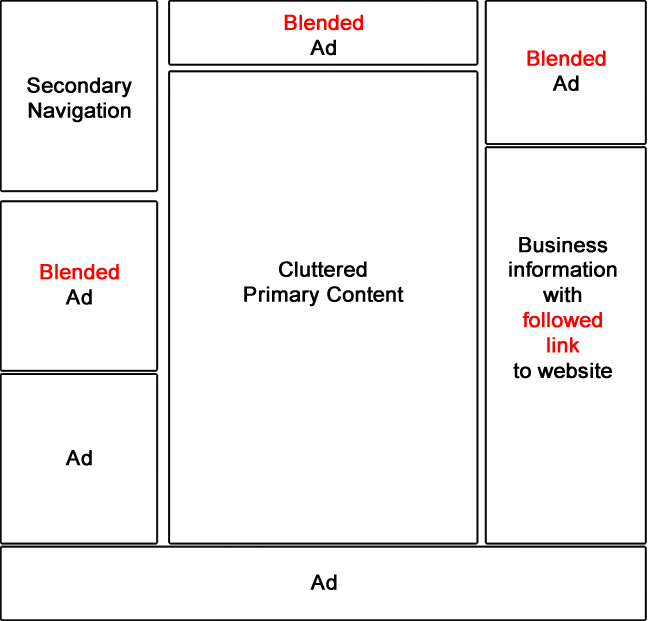 Both were focused on content quality and both had a big impact on websites across the web. I heavily analyzed Phantom 2 soon after the update rolled out, and during my analysis, I saw many sites swing 10-20% either up or down, while also seeing some huge hits and major surges. 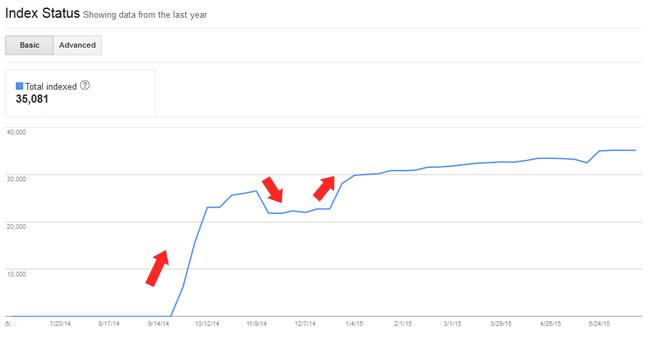 One site I analyzed lost ~80% of its Google organic traffic overnight, while another surged by 375%. And no, I haven’t seen any crazy Phantom 2 recoveries yet (which I never thought would happen so quickly). More about that soon. Also, based on my first post, I was interviewed by CNBC about the update. Between my original post and the CNBC article, the response across the web was amazing. The CNBC article has now been shared over 4,500 times, which confirms the level of impact Phantom had across the web. Just like Phantom 1 in 2013, Phantom 2 was significant. While analyzing the impact of Phantom 2, it wasn’t long before I could clearly see that the update heavily targeted content quality. I was coming across serious low quality content, user engagement problems, advertising issues, etc. Many (including myself) initially thought it was a Panda update based on seeing the heavy targeting of content quality problems. And that made sense timing-wise, since the last Panda update was over seven months ago (10/24/14). Many have been eagerly awaiting an update or refresh since they have been working heavily to fix any Panda-related problems. It’s not cool that we’ve gone over seven months when Panda used to roll out frequently (usually about once per month). But we have good news out of SMX Advanced. Gary Illyes explained during his AMA with Danny Sullivan that the next Panda refresh would be within the next 2-4 weeks. 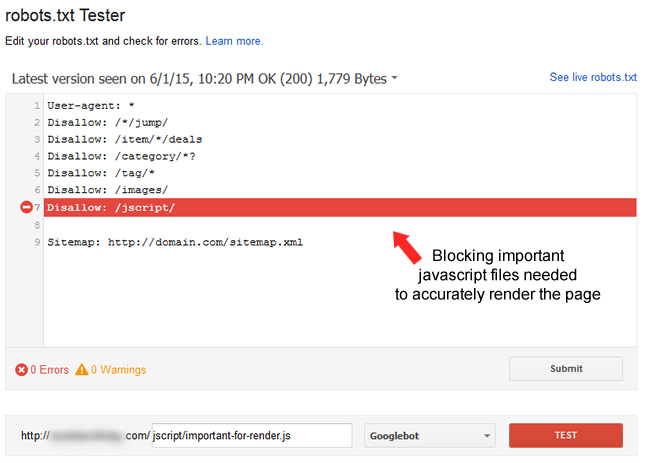 That’s excellent news for many webmasters that have been working hard on Panda remediation. So definitely follow me on Twitter since I’ll be covering the next Panda refresh/update in great detail. Now back to Phantom. So, it wasn’t Panda, but focuses on quality. And as I’ve said many times before, “content quality” can mean several things. You have thin content, low quality affiliate content, poor user experience, advertising obstacles, scraped content, and more. Almost every problem I came across during my Phantom analysis would have been something I would have targeted from a Panda standpoint. So both Phantom and Panda seem to chew on similar problems. More about this soon. So, Panda targets low quality content and can drag an entire site down in the search results (it’s a domain-level demotion). And now we have Phantom, which changed how Google’s core ranking algorithm assesses “quality signals”. The change can boost urls with higher quality content (which of course means urls with lower quality content can drop). So, since Phantom is page-level, many started thinking they could tinker with a page and recover the next time Google crawled the url. I never thought that could happen, and I still don’t. I believe it’s way more complex than that… In addition, that approach could lead to a lot of spinning wheels SEO-wise. Imagine webmasters tinkering endlessly with a url trying to bounce back in the search results. That approach can drive most webmasters to the brink of insanity. I believe it’s a complex algorithm that also takes other factors into account (like user engagement and some domain-level aspects). For example, there’s a reason that some sites can post new content, have that content crawled and indexed in minutes, and even start ranking for competitive keywords quickly. That’s because they have built up trust in Google’s eyes. And that’s not page-level… it’s domain-level. And from an engagement standpoint, Google cannot remeasure engagement quickly. It needs time, users hitting the page, understanding dwell time, etc. before it can make a decision about recovery. It’s not binary like the mobile-friendly algorithm. Phantom is more complex than that (in my opinion). Back to “url tinkering” for a minute. Back when Phantom 1 hit in May of 2013, I helped a number of companies deal with the aftermath. Some had lost 60%+ of their Google organic traffic overnight. My approach was very similar to Panda remediation. I heavily analyzed the site from a content quality standpoint and then produced a serious remediation plan for tackling those problems. I didn’t take a short-term approach, I didn’t believe it was page-level, and I made sure any changes clients would implement would be the best changes for the long-term success of the site. And that worked. A number of those companies recovered from Phantom within a six month period, with some recovering within four months. I am taking the same approach with Phantom 2. And Google’s John Mueller feels the same way. He was asked about Phantom in a recent webmaster hangout video and explained a few key points. First, he said there is no magic bullet for recovery from a core ranking change like Phantom. He also said to focus on increasing the quality on your site over the long-term. And that one sentence has two key points. John used “site” and not “page”. And he also said “long-term”. So, if you are tinkering with urls, fixing minor tech issues on a page, etc., then you might drive yourself insane trying to recover from Phantom. Instead, I would heavily tackle major content quality and engagement problems on the site. Make big improvements content-wise, improve the user experience on the site, decrease aggressive advertising tactics, etc. That’s how you can exorcise Phantom. Over the past month, I’ve had the opportunity to dig into a number of Phantom hits. Those hits range from moderate drops to severe drops. And I’ve analyzed some sites that absolutely surged after the 4/29 update. I already shared several findings from a content quality standpoint in my first post about Phantom 2, but I wanted to share more now that I have additional data. Just like with Panda, “low quality content” can mean several things. There is never just one type of quality problem on a website. It’s usually a combination of problems that yields a drop. Here are just a few more problems I have come across while analyzing sites negatively impacted by Phantom 2. Note, this is not a full list, but just additional examples of what “low quality content” can look like. An ecommerce site that was heavily impacted by Phantom reached out to me for help. Once I dug into the site, the content quality problems were clear. First, the site had a boatload of thin content. Pages were extremely visual with no supporting content. The only additional content was triggered via a tab (and there wasn’t much added to the page once triggered). The site has about 25-30K pages indexed. So, you had extremely thin content that was being cut down to no content due to how the site was coded. And this problem was present across many urls on the site. Another Phantom hit involved a large directory and forum. There are hundreds of thousands of pages indexed and many traditional directory and forum problems are present. For example, the directory listings were thin, there was a serious advertising issue across those pages (including the heavy blending of ads with content), and search results indexed. In addition, and this was a big problem, all of the directory links were followed. Since those links are added by business owners, and aren’t natural, they should absolutely be nofollowed. I estimate that there are ~80-90K listings in the directory, and all have followed links to external websites that have set up the listings. Not good. One business owner reached out to me that had been heavily impacted by Panda and Penguin in the past. But they worked hard to revamp the site, fix content quality problems, etc. They ended up recovering (and surging ) during Panda 4.1. They were negatively impacted by Phantom (not a huge drop, but about 10%). Quickly checking the site after Phantom 2 rolled out revealed some strange legacy problems (from the pre-recovery days). 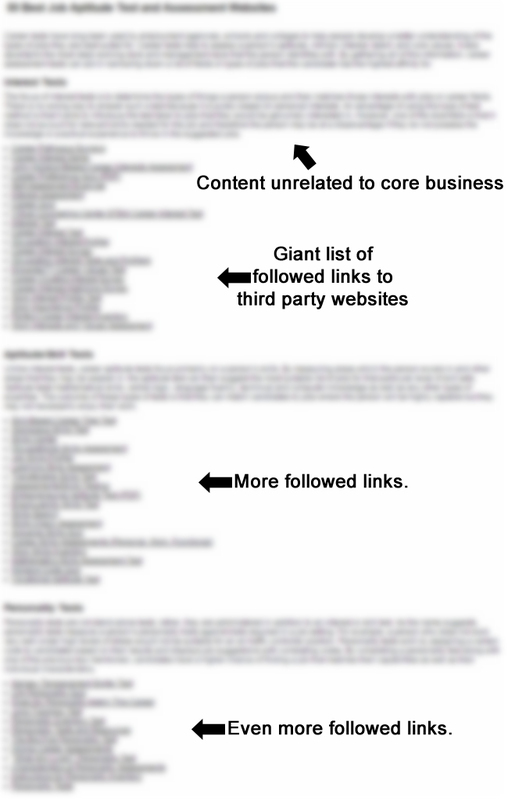 For example, I found some horrible low quality content that contained followed links to a number of third party websites. The page was part of a strategy employed by a previous SEO company (years ago). It’s a great example of rogue low quality content that can sit on a site and cause problems down the line. Note, I’m not saying that one piece of content is going to cause massive problems, but it surely doesn’t help. Beyond that, there were still usability problems on the site, mobile problems, pockets of thin content, and unnatural-looking exact match anchor text links weaved into certain pages. All of this together could be causing Phantom to haunt the site. I’ll be quick with this last one, but I think it’s important to highlight. I received an email from a business owner that claimed their site was hit by 90%+ after Phantom rolled out. That’s a huge Phantom hit, so I was eager to review the situation. So I reached out to the business owner and asked if it was just Google organic traffic that dropped, or if they were seeing drops across all traffic sources. I explained I wasn’t seeing any drops via third party tools, I wasn’t seeing any crazy content quality problems, etc. The business owner quickly got back to me and said it was a tracking code issue! Google Analytics wasn’t firing, so it looked like there was a serious drop in traffic. Bullet avoided. Important note: When you believe you’ve been hit by an algo update, don’t simply rely on Google Analytics. Check Google Search Console (formerly Google Webmaster Tools), third party tools, etc. Make sure it’s not a tracking code issue before you freak out. 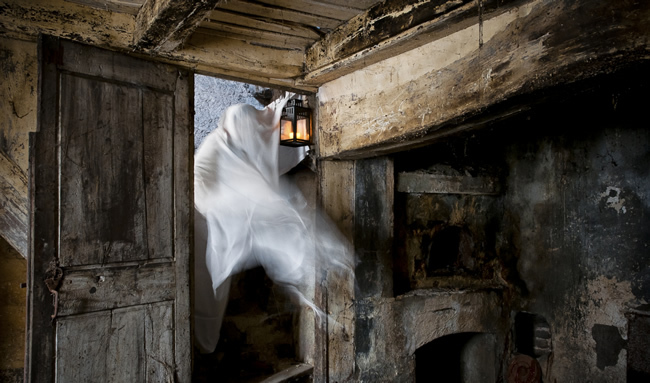 Since Google explained that Phantom 2 is actually a change to its core ranking algorithm with how it assesses quality, it’s important to understand where pages fall flat, as well as where other pages excel. For example, some pages will score higher, while others will score lower. I’ve spent a lot of time analyzing the problems Phantom victims have content quality-wise, but I also wanted to dig into the urls that jumped ahead rankings-wise. My goal was to see if the Quality Update truly surfaced higher quality pages based on the query at hand. Note, I plan to write more about this soon, and will not cover it extensively in this post. But I did think it was important to start looking at the urls that surged in greater detail. I began by analyzing a number of queries where Phantom victim urls dropped in rankings. Then I dug into which urls used to rank on page one and two, and which ones jumped up the rankings. Depending on the query, there were times urls did jump up that were higher quality, covered the subject in greater detail, and provided an overall better user experience. For example, a search for an in-depth resource for a specific subject yielded some new urls in the top ten that provided a rich amount of information, organized well, without any barriers from a user engagement standpoint. It was a good example of higher quality content overtaking lower quality, thinner content. For some queries I analyzed that were questions, Google seemed to be providing forum urls that contained strong responses from people that understood the subject matter well. I’m not saying all forums shot up the rankings, but I analyzed a number of queries that yielded high quality forum urls (with a lot of good answers from knowledgeable people). And that’s interesting since many forums have had a hard time with Panda over the years. I saw some navigational queries yield urls that provided more thorough information than just providing profile data. For example, I saw some queries where local directories all dropped to page two and beyond, while urls containing richer content surface on page one. From a pure local standpoint (someone searching for a local business), I saw some ultra-thin local listings drop, while other listings with richer information increase in rank. For example, pages with just a thumbnail and business name dropped, while other local listings with store locations, images, company background information, hours, reviews, etc. hit page one. Note, these examples do not represent the entire category… They are simply examples based on Phantom victims I am helping now. In Some Cases, The “Lower Quality Update”? The examples listed above show higher quality urls rising in the ranks, but that wasn’t always the case. I came across several queries where some of the top listings yielded lower quality pages. They did not cover the subject matter in detail, had popups immediately on load, the pages weren’t organized particularly well, etc. Now, every algorithm will contain problems, yield some inconsistent results, etc., but I just found it ironic that the “quality update” sometimes surfaced lower quality urls on page one. Again, I plan to dig deeper into the “quality boost” from Phantom 2 in future posts, so stay tuned. As mentioned earlier, I recommend taking a long-term approach to Phantom remediation. You need to identify and then fix problems riddling your sites from a content quality and engagement standpoint. Don’t tinker with urls. Fix big problems. And if Phantom 2 is similar to Phantom 1 from 2013, then that’s exactly what you need to focus on. Have a thorough audit conducted through a quality lens. This is not necessarily a full-blown SEO audit. Instead, it’s an audit focused on identifying content quality problems, engagement issues, and other pieces of bamboo that both Panda and Phantom like to chew on. Take the remediation plan and run with it. Don’t put band-aids on your website, and don’t implement 20% of the changes. Fix as many quality problems as you can, and as quickly as you can. Not only will Google need to recrawl all of the changes, but I’m confident that it will need to remeasure user engagement (similar to Panda). This is one reason I don’t think you can bounce back immediately from a Phantom hit. Have humans provide feedback. I’ve brought this up before in previous Panda posts, and it can absolutely help with Phantom too. Ask unbiased users to complete an action (or set of actions) on your site and let them loose. Have them answer questions about their visit, obstacles they came across, things they hated, things they loved, etc. You might be surprised by what they say. And don’t forget about mobile… have them go through the site on their mobile phones too. Continue producing high quality content on your site. Do not stop the process of publishing killer content that can help build links, social shares, brand mentions, etc. Remember that “quality” can be represented in several ways. Similar to Panda victims, you must keep driving forward like you aren’t being impacted. What’s good for Phantom should be good for Panda. Since there seems to be heavy overlap between Phantom and Panda, many of the changes you implement should help you on both levels. If you take one point away from this post, I hope you maintain a long-term view of increasing quality on your website. If you’ve been hit by Phantom, then don’t tinker with urls and expect immediately recovery. Instead, thoroughly audit your site from a quality standpoint, make serious changes to your content, enhance the user experience, and set realistic expectations with regard to recovery. That’s how you can exorcise Phantom and exile Panda.